Originally from the Canary Islands, and Isoplexis canariensis is the best known of the species which are related to the foxgloves, although they do require different care and growing conditions. The wonderful flowers create a 'tropical feel' well worth the effort. These are a tall growing plant reaching from just over 1m to 2m depending on conditions, wonderful orange flowers on tall spikes and attractive deep green foliage. 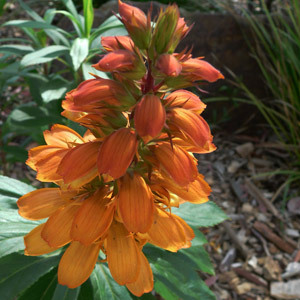 Isoplexis canariensis flowers are long lasting which is always an advantage. Birds and bees love them. In the UK if you can find a sunny position in the garden border, or a large container Isoplexis caneriensis can be grown. A humus rich moist soil and a regular application of your favourite all purpose fertiliser and you are away. 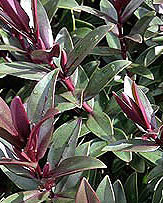 Often written about as a cool climate plant in the UK, we have found that frosts can be a problem. 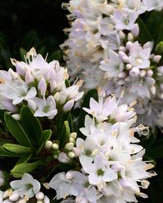 In a protected position in the UK climate the will form a clump, easy care especially in the southern areas, and if you grow them in a container and overwinter them indoors or in greenhouse they should thrive. After around 5 years you will find that Isoplexis canariensis tends to 'wear itself out'. 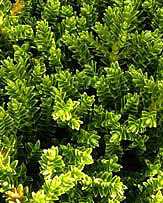 It becomes less floriforous and looses its natural vigour. The answer is to propagate your own. Propagation is fairly easy from seed as well as cuttings. Seeds are usually surface sown with a very light covering to hold them firm. Try a mixture of coir (coco peat) and sharp sand or perlite. 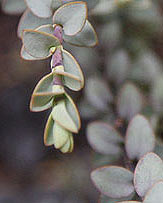 Seeds should geminate in around 1 - 2 months. Keep moist but not wet. You will find offsets that can be removed with a sharp knife, make sure you take some of the root with it. Other species include - Isoplexis sceptrum which is referred to as the "Madeiran Foxglove" or "Bush Foxglove". Interesting collection of Shrubs, Roses, Climbing Plants and Clematis.